MAKKAH: The General President of the Affairs of the Two Holy Mosques Sheikh Abdulrahman Al-Sudais announced the start of the Zamzam well processing project. Al-Sudais praised the state’s interest in Zamzam water since its establishment by King Abdul Aziz. 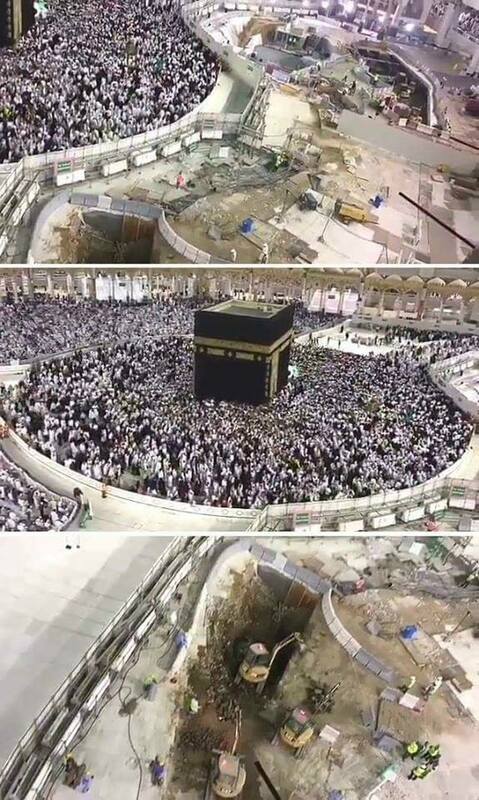 He dedicated the Zamzam well to benefit Muslims, and his sons have followed his steps and are exerting more efforts to serve this blessed well. The project consists of two sections. The first section includes the construction of the five-service bridges to Zamzam from the eastern side, with a total width of eight meters and a length of 120 meters. The second section is to complete the final phase of sterilization and handling of the environment surrounding Zamzam well, that includes remains of concrete and iron vaults of the old Grand Mosque, to reduce the proportion of harmful substances in Zamzam water as much as possible. It also includes the development of a special quality of sterile gravel with a high permeability of water, allowing better flow of Zamzam water. The scheduled time period for the project is seven months, and the work is expected to be completed before Ramadan.